LOCAL TRADE!! ****EXCELLENT CONDITION 2017 FORD TRANSIT 250 MED ROOF CARGO VAN****CLEAN 1-OWNER CARFAX****This is a great option for a growing moving company or contractor looking to add to their fleet. Comes with rear view camera, passenger sliding door, AM/FM/CD radio, air conditioning, traction control, power windows, locks and heated mirrors. Tires and brakes are all well over 50%. Comes with the balance of Ford's factory warranty with options to extend warranty coverage for added peace of mind. Financing is available and all trades are accepted. 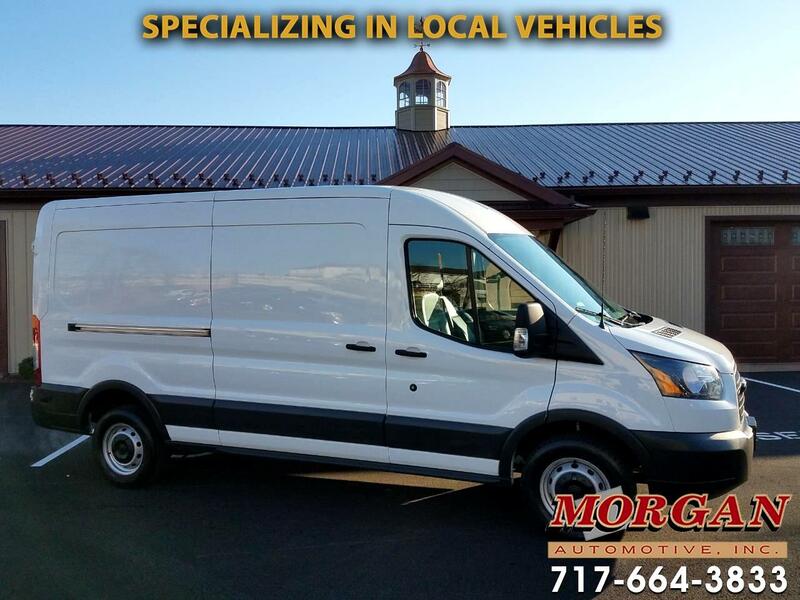 For more details on this awesome cargo van please contact our friendly commission free sales team at Morgan Automotive today.